Take a closer look at the brand new Unholy Stem from Frelo Bikes! When it comes to BMX stems, we see a lot of very similar designs. Not because people aren’t able to come up with something better, but the fact that riders like clean, simple and strong. Why fix what you know already works, right? We’ve seen some pretty unique stems come and go over the years with big cut outs, unique compression systems and more, but you can’t go wrong with the look and reliability of the classic top load stem design. When it came time for Frelo Bikes to design their first stem, they knew they wanted something that would be clean, but have a few unique touches so it wasn’t just another topload stem. They ended up with their new Unholy Stem that has a few details that help stand out a bit. This stem is Multi-Tiered CNC Machined from 6061-T6 alloy with a 50mm reach and 35mm rise, smooth beveled edges and extra machining to save weight, which is pretty straight forward. What you might not notice right off the bat is that the bolts are missing from the top of the stem. That’s because they’ve gone with a top plate that holds the bars in place with four bolts coming in from the bottom to leave the top with a smooth look and plenty of room for the Frelo Bikes logo. Another detail you might have noticed from the picture above, is that the top plate also has four small pegs for the bolts to help ensure the stem is aligned properly when threading and to help prevent over tightening and pinching your bars. That alone is a nice added touch that helps it stand out a lot. Spinning the stem around, you can also find a unique fork clamping area that is offset for a unique look, and a recessed top for a flush compression cap and weight savings. The Unholy Stem from Frelo Bikes accomplished the goal of creating a BMX stem that mixed the look of a classic Top Load stem with a few unique features to give it their own twist that helps it stand out. Add in the bonus that the stem is also made in the U.S.A., and you have a great option for your bike. You can pick the Unholy Stem up for $60 through BMX shops and mail-orders that carry Frelo Bikes or direct from the FRELO BIKES WEBSTORE in Black and Polished now! That’s a look at the new Unholy Stem from Frelo Bikes! Let us know what you think or if you have any questions in the comments below! You can learn more about Frelo Bikes by visiting their website — FreloBikes.com. You can also keep up with them on Facebook and on Instagram @FreloBikes. Last year the crew at Flybikes introduced their new Volcano Front and Top Load Stems that utilized some clean machining for a great look and grooves where the bars sit to help resist slipping. For 2018, they’ve decided to release a 3rd option for the stem to combine their ever popular Roey and Alta stems. The Volcano TT stem is CNC machined from 6061-T6 aluminum with a 50mm reach, 25mm rise, a 29mm stack height and external and internal machining for extra weight savings. The stem is a slimmed down and lighter version of the regular Volcano stem, but still features a 47mm width and the anti-slip grooves to keep your bars in place. Add in some beveled edges, a recessed top and solid chromoly bolts and you have a strong and a really clean looking BMX stem! The Volcano TT stem comes in Black, Space Grey and Dark Gold with a weight of 10 oz. (286 grams) and can be picked up for $65.00 through Flybikes dealers worldwide and online, or on the Flybikes website. What do you think of the stem? Do you have any questions? Let us know what you’re thinking! Not quite what you are looking for? 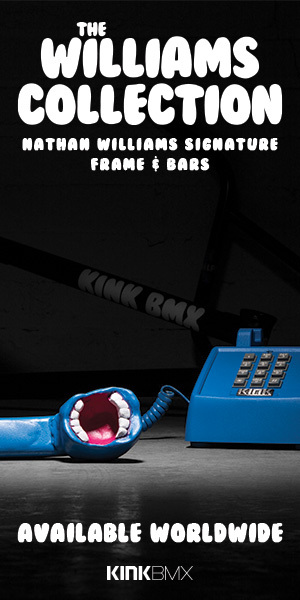 Check out more BMX stems. Get a look at the new Van Homan signature stem from Fit Bike Co.! Thinking about picking up a new BMX stem? The crew over at Fit Bike Co. have released a new Van Homan signature stem for you to get your hands on! This stem is CNC machined right here in the U.S.A with a 53mm reach, 28.5mm stack height, 24mm rise (6mm inverted). This top load stem features beveled edges and a round back for a clean, simple look with a laser etched Fit Bike Co. logo on the top plate, a tribute to Little Devil on the side with a Fit logo with horns and 8 solid chromoly bolts to hold it all together nice and tight. You can pick up the Van Homan stem in Blood Red or Black with a weight of 12.3 oz and a price tag of $59.99 through BMX shops and mail-orders that carry Fit Bike Co. worldwide now. Not quite what you are looking for? 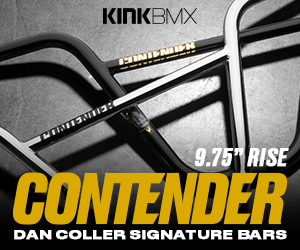 Check out more BMX Stems right here!